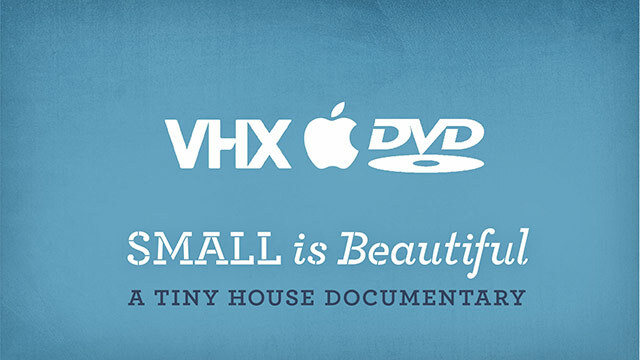 How do you want to watch Small is Beautiful? My favourite place to watch documentaries is on my laptop. I love being able to download the film directly from the filmmakers off their website and watch whenever I want to. This is why the first place you’ll be able to get Small is Beautiful?is from our website. How you would like to watch it? I want to try and bring as many of these options to you as possible. We’re most likely to choose the most popular. If you want to watch the film in a specific way, vote below! Vimeo on demand is fine, rental / buy. Direct download is great, because I can watch the file however I want, but the advantage of iTunes is never having to keep track of the file because iTunes has record I purchased it, or carry it with me because I can stream it. I never thought of that Taylor, great point! I’d love any format that could be streamed using my Roku – so Amazon works, and I believe Vimeo might also work with Roku. I just checked VHX (how we’re making the download available through our website) and they support Roku. Also the new trailer is wonderful! Keep up the great work! Me too, I want a DVD so I can loan it out when I get lots of questions from family & friends about why I will build one! Voted for direct download, but would also love to be able to consider possibly buying dvd to have in collection i definately! Meet More of the People in our Tiny House Film!